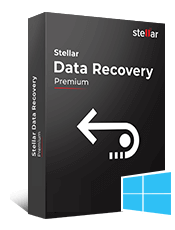 Stellar Log Analyzer for MySQL is used by Forensic Users, Database Administrators and Recovery Users to convert the unreadable Log File data into readable tabular-format for an in-depth analysis. *Free download allow to see preview of complete details related to the transactions. 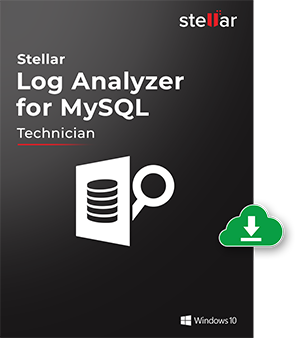 Stellar Log Analyzer for MySQL Database is designed to convert the unreadable and inaccessible MySQL Log Files into readable format thus enabling users to research, audit and analyze these log files. The simplified Logs files ensure that Database Forensic users can identify and analyze transactions in a database system that indicate evidence of Suspicious activity. 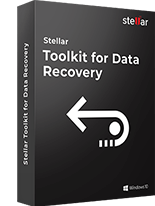 This software also used by Database Administrators and Recovery Users to track the records activity, in case of system-crash, hardware-failure or deletion of data. The Log Analyzer allows selection of General and Binary files from the location different from Redo file location, with the manual selection option. Redo files for MySQL database are created by default and saved at a specified location but the creation of the General and Binary Log files can be initiated with a command. User can browse to select the desired database from different locations provided the user provides a root folder containing at least one database and ib_logfile for corresponding database. Log analyzer displays a preview of Database Transaction details along with its respective data and allows finding of the object name in the tree view. Enables search for a Query detail corresponding to a particular transaction, thus helping in analyzing a specific data. Also, the users have an option to select and preview the transaction type – Insert, Delete, Update, before saving the log tables data and log transactions. The fast scanning Algorithms supports separate Log Report after scanning database. The software provides sorted Tables in tree-view along with total row count detail in each table for all MySQL versions. Support available for native JSON type and functions for working with JSON values, as per MySQL version. This software also provides Data View of the saved File Records. Stellar Log Analyzer reads through all three logs - Redo, Binary and General Logs and provide a detailed analysis of Log file transactions as available in MySQL Database. Also provides support for the automatic recreation of a new My SQL Database consisting of all recovered database items. 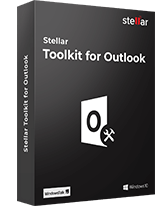 Enables saving of Log Files in multiple formats, i.e., MySQL CSV, HTML and XLS format. 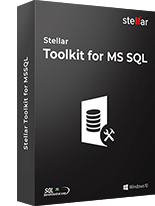 Saves Log Table Data in a Tabular form directly to MySQL server and also as CSV, HTML and XLS formats. 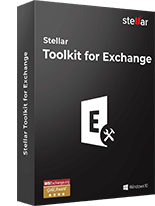 Log Transactions are saved in Query-form as CSV, HTML and XLS formats. Users have the option to select transaction type – Insert, Delete, and Update to find or search the items available in that transaction type. An added option to apply date range filter on log data and log transactions is also available to analyze the data for a particular period. Further, user can search for ‘Other Transactions’ including the queries performed by MySQL at the backend. Search for a particular Query from the preview available after database conversion. How to select the General and Binary Log files manually? Go to File Menu and click on the Select option. Select Database Location window opens. Click on Browse button and Browse for Folder dialog box opens. Select the Folder that contains Binary and Log files of MySQL Database. Click on the Ok button and General, and Binary log Files are selected. How to view the Transaction Data? In most cases, Transaction Data is visible at the bottom of the interface. In case the pane is not visible, then enable it by selecting the Data View checkbox in View section of File Menu. Do I need to install any Drivers to establish a connection with MySQL? The application setup provides the necessary Drivers to be installed. Download these Drivers to establish a connection with MySQL. How can I save Log Transactions and Log Data for a particular Date Range? Note: Redo Log Files cannot be saved as per Date Range.